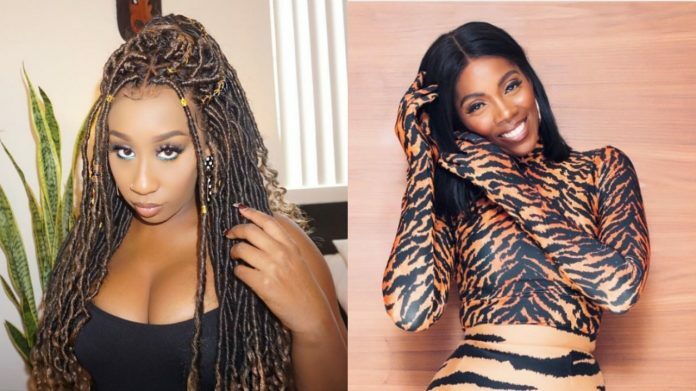 Kenyan singer Victoria Kimani has taken the ‘Fvck You Challenge’ a notch higher with her cover. The former Chocolate City artiste, decided to diss Tiwa Savage on her ‘Fvck You’ cover spitting her truth. She called Tiwa ‘African Grandma’ who was getting closer to 45 years old. Kimani said the ‘Ma Lo’ crooner was selling P#$$y in the industry. Still on her cover she called out YCEE for stealing her lyrics for his song without giving her credit. Seyi Shay took sides with Kimani in her Instagram comments.